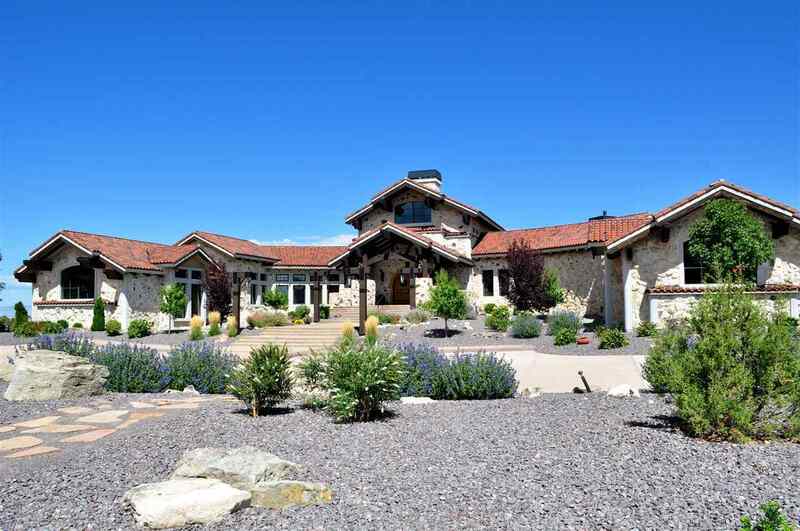 Fabulous Grand Junction estate overlooking the Colorado River. 360 degree views of the city lights, Colorado National Monument, the Grand Mesa & Bookcliffs and the entire Grand Valley floor. This masterpiece was constructed in 2006 and updated in 2016 with a new theatre room, professional landscaping and a second kitchen! Other features include 12â walls, geothermal heating/cooling, beautiful beams throughout, floor-to-ceiling stone fireplace, wine room, steam room and flex room. Most of the furnishings/electronics are included. Experience the quality and uniqueness of a Telluride/Aspen home right here in Grand Junction. Everyday feels like a vacation when you live like this! The Seller is open to trades â in or out of town, commercial or residential real estate. Owner carry terms available, too.